Butlers Bingo is giving away an iPad2 and you guys may be able to win this fantastic prize if you hurry up and make a deposit by Midnight tomorrow night. This offer is part of the Butlers Big Birthday Bash Prize Draw so all deposits made in June got you entry into the draw and Monday 4th July is the cut off date. The first prize is Apple iPad2, second prize is an Apple iPod Touch and third prize is 200BBz to spend on site. The iPad2 has been one of the most popular electronic gadgets to hit the market this year and it goes without saying that iPods have completely changed the way we all listen to music so either of these prizes would be fantastic and you would certainly have a lot of fun playing through £200 on the Butlers Bingo site. 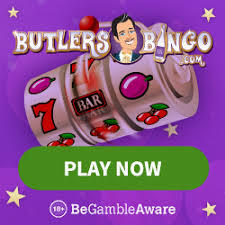 If you're a Twitter member you can earn £5BBz free just by following Butlers Bingo on Twitter. Do this before Midnight tonight to qualify for your free £5BBz. Tweet on the Butlers page saying #BB5FREE including your username and you'll soon be enjoying your free bonus. Butlers Bingo offers new players a free £10 no deposit bonus as well as 200% first deposit bonus and 25% on all of your reloads too.